In celebration of love this Valentine’s Day, we prepared a special interview. Continuing our series of “Meet the Team”, we would love to introduce you to Jeanette Violette, our one and only Wedding Supervisor. Conducting over 30 weddings every month, it was an easy choice to feature Jeanette as our staff member this Valentine’s day. 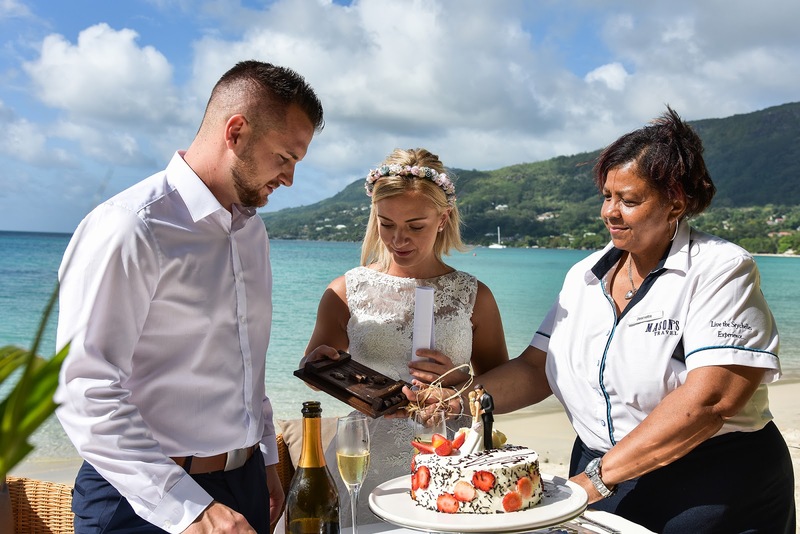 She has been planning the ‘special day’ for couples from all around the world at Mason’s Travel for over 10 years now and has been celebrating love way more often than just on Valentine’s Day. Jeanette started her career in the travel industry back in 1984, just after finishing her studies in tourism, and taking her first job as a receptionist in one of the big hotels back in the day. She then took a senior receptionist role and got promoted to the front office manager a few years after. Little did she know that her career path would take her in a completely different direction in the future. After working for two different hotels for 25 years and taking a one year break, Jeanette decided to try something new. She sent her CV to Mason’s Travel, and to her surprise, she got a call on the same day asking to come in for an interview. Jeanette told us that she was very nervous taking the new position because it was something new to her, but she was keen to give it a try. Jeanette had many sleepless nights with lots of research and information to take in, but soon she fell in love with her new job. The highlight of being a wedding organiser for Jeanette is to see her clients happy. She told us that some couples even insist on her attending their wedding and to stay in touch after. “It creates great memories and satisfaction for your job because there’s nothing more rewarding than seeing clients happy on their special day”, said Jeanette. When asked what the biggest challenge of being a wedding organiser is, Jeanette told us that it’s a very busy job with a lot of responsibility. She has to make sure that everything goes smoothly and always has to have her phone with her because even the slightest mistake could ruin the special day. Jeanette told us that Seychelles has a great reputation of a beautiful travel destination for couples. In addition to great weather and beautiful surroundings, it’s relatively easy to get married here, because the bureaucratic procedures are relatively straightforward and the wedding certificate only takes two days to be ready. 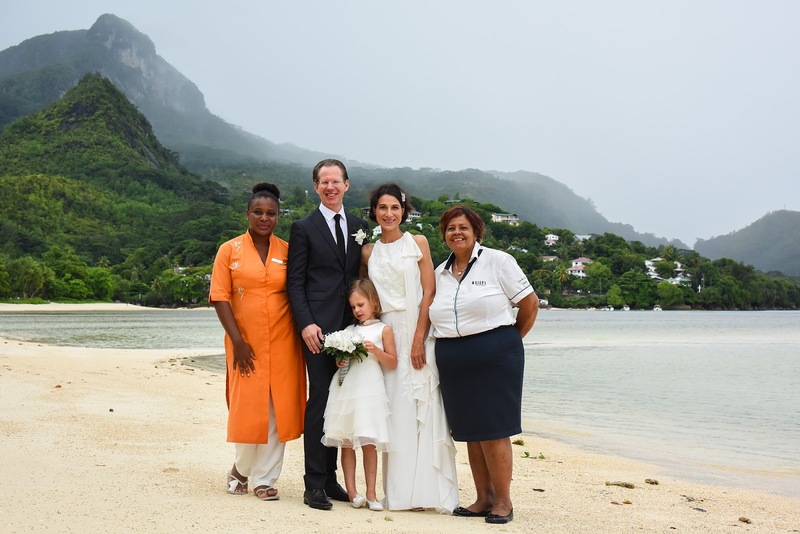 According to Jeanette, one of the most popular places to get married in Seychelles is Anse Source D’Argent beach on La Digue, while the most unusual request she got was to get married under the water. If Jeanette was to get married again, she would choose to do it on one of the outer islands like Alphonse, Denis or Desroches where it’s less crowded and more intimate. 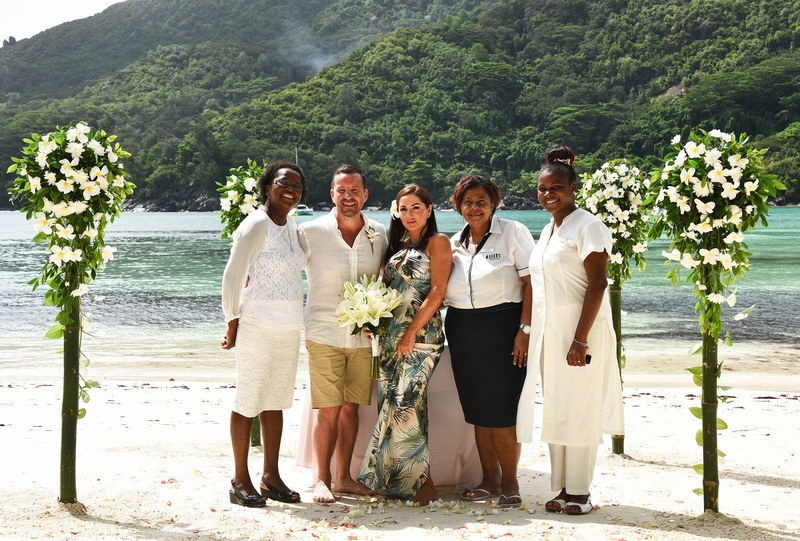 If your dream is to get married somewhere tropical and secluded like Seychelles, Jeanette is always here to make that dream come true and assist you every step of the way. Visit our website at www.masonstravel.com for more information and in the mean time happy Valentine’s Day from Mason’s Travel team!